Mark your calendars for March 1st, 2019, as the 3rd annual Indulge Ottawa will take place at Sala San Marco in support of Special Olympics Ontario – Greater Ottawa. Indulge Ottawa features all-inclusive sampling from over a dozen of Ottawa’s best food and beverage companies, along with live and silent auctions, live entertainment, and food and beverage sampling contests. Tickets start at $60, and includes your seat and all of your food and beverage sampling for the night – no need for pricy food and drink tickets! Tables of 8 are also available, so you can round up your friends, family, or coworkers and make it a big night out. You can also purchase your tickets separately and contact the organizer to arrange to be seated with your group. Please note that this event is only open to those 19 years of age or older, and refunds will NOT be provided after purchase. Indulge Ottawa raises awareness and funds for Special Olympics Ontario– Greater Ottawa. All funds remain within the community and provide program opportunities for individuals with intellectual disabilities. Funds also go towards hosting competitions in Ottawa, and supporting local athletes as they progress to Provincial, National, and World Games. 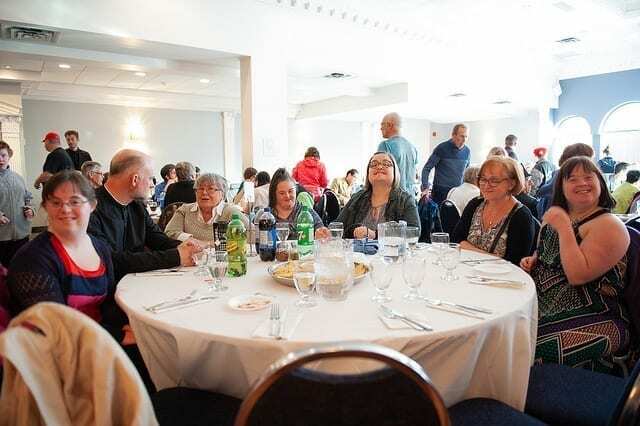 Special Olympics Ontario – Greater Ottawa provides programs and activities for individuals with intellectual disabilities in our community, with nearly 2,000 athletes registered in Ottawa. Our athletes can participate in 20 core sport programs starting at the age of 8, with many athletes competing for decades. Special Olympics Ontario – Greater Ottawa also offers programs for athletes starting at age 2. For those that have purchased one of the ticket options that includes tax receipts, you will be contacted separately with details on the receipt process. For more information, or if you have any questions, please contact Jason Hussak.